The C21orf45 antibody from Proteintech is a rabbit polyclonal antibody to a fusion protein of human C21orf45. This antibody recognizes human, mouse antigen. 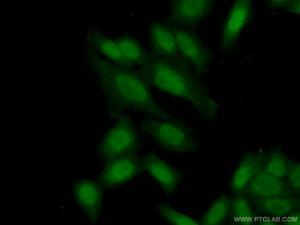 The C21orf45 antibody has been validated for the following applications: ELISA, WB analysis.